In the book Thank You, God children learn to give thanks for all things — the sun, the light, family and friends, this day, this life, and even “for meals together, with good food to smell, to taste, and to fill my belly.” This November, bring the warm gratitude of this vibrant picture book home for dinner when you create this personalized Tree of Thanks to use as a Thanksgiving centerpiece. 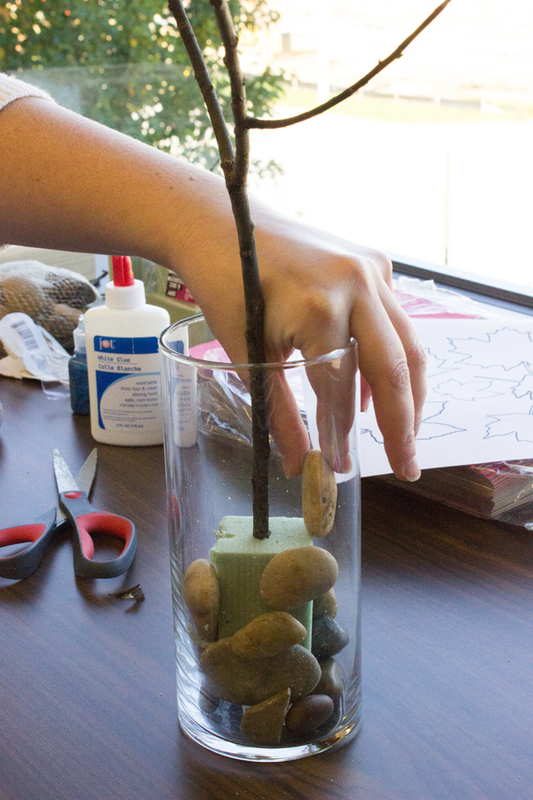 Step 1: This step is optional, but recommended, as it will help stabilize the tree and keep it straight and firmly in place even after the leaves are added. Eyeball the empty container to determine what size your floral foam needs to be, and cut the foam to size. Make sure that, if your container is clear, you leave space between the foam and the wall of your container to give you room to squeeze in enough filler material to hide the foam. 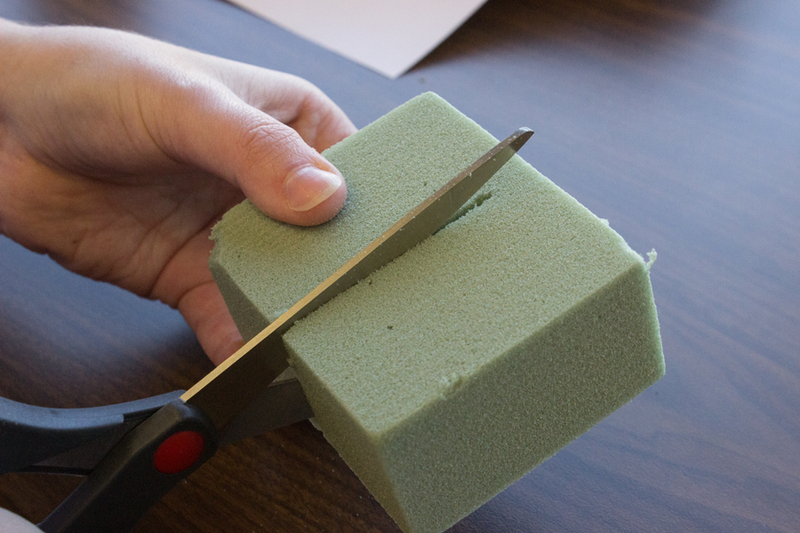 Once you have cut the foam to size, insert the stick into the top of the foam. 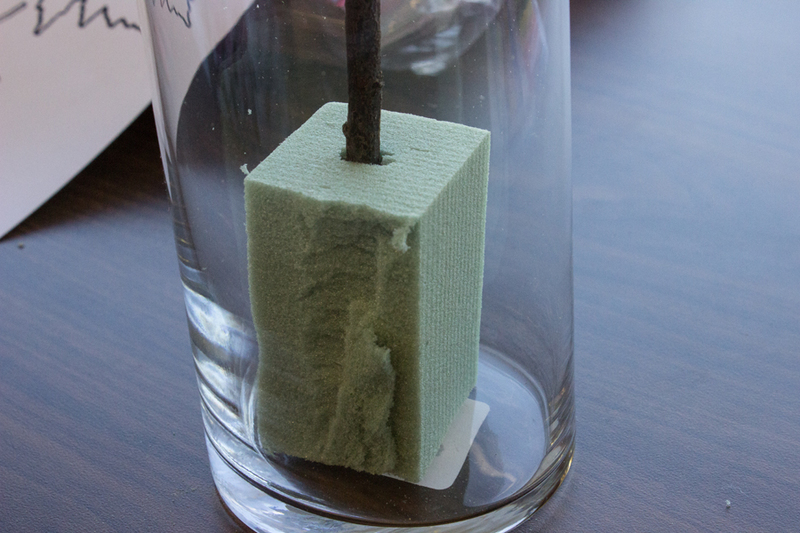 Step 2: Place the stick with the foam attached into the center of your container. 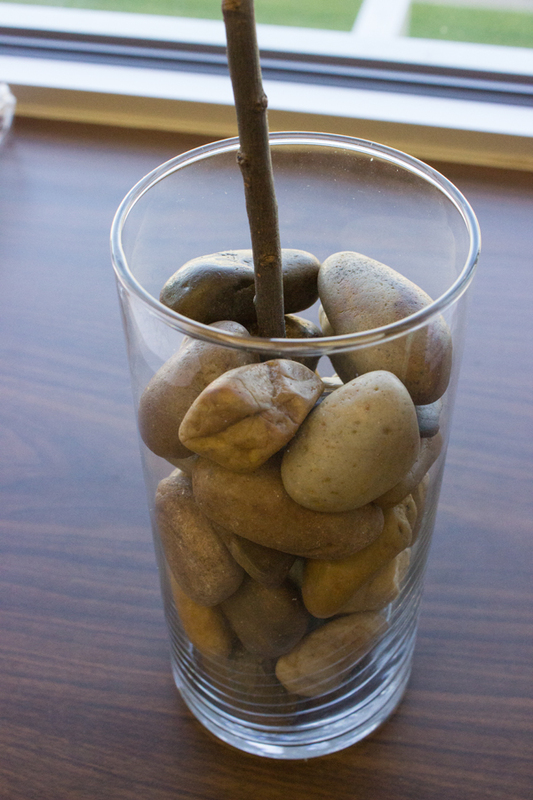 Hold the stick firmly in the desired position while adding filler (I used rocks) to the space between the container and the foam, until the filler is at least 2 or 3 inches above the foam. 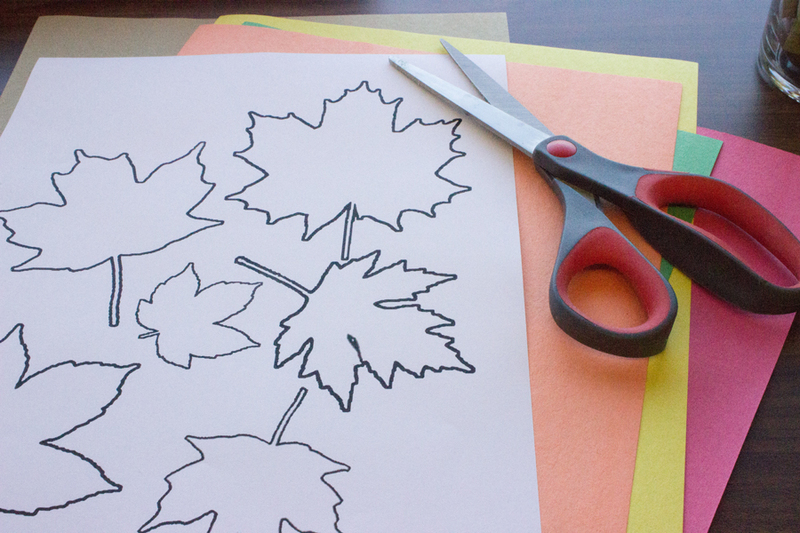 Step 4: Decorate the leaves by having children write or draw a design of something they are thankful for. 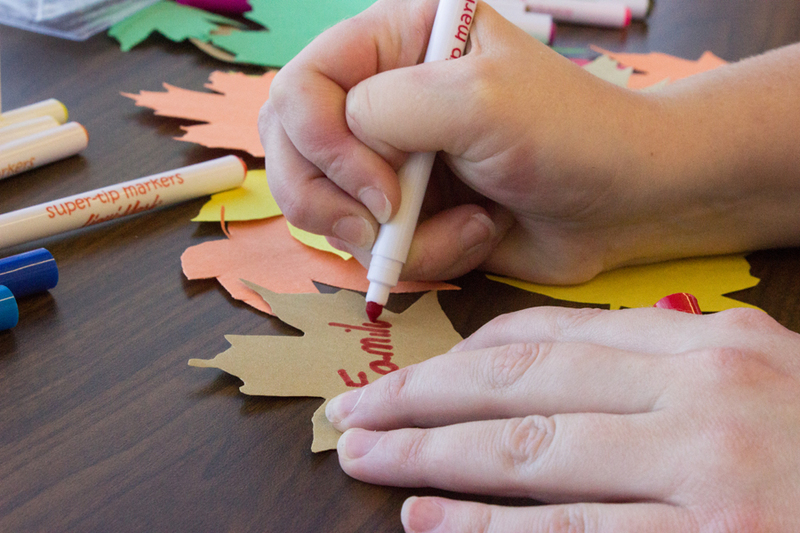 For my tree, I wrote a word for something I was thankful for on one side of the leaf and drew a decoration or a representation of that item on the other side. 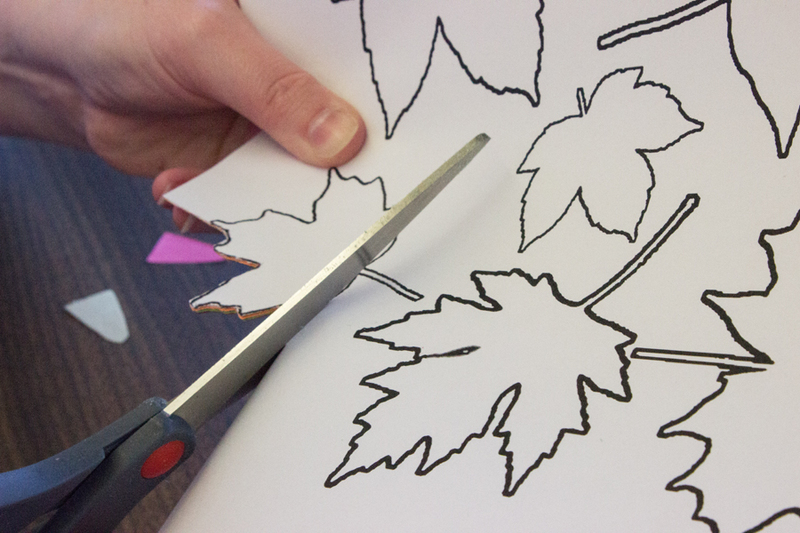 I used markers, but you may use any other drawing utensils or decorative materials you like. 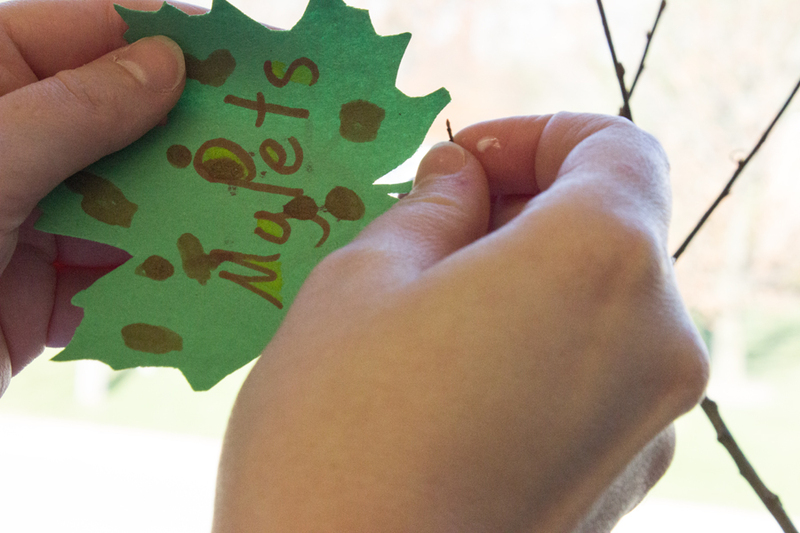 Step 5: Once the leaves are decorated, add a small amount of glue to the the stem of each leaf. (Be careful not to add too much, or things could get really messy!) 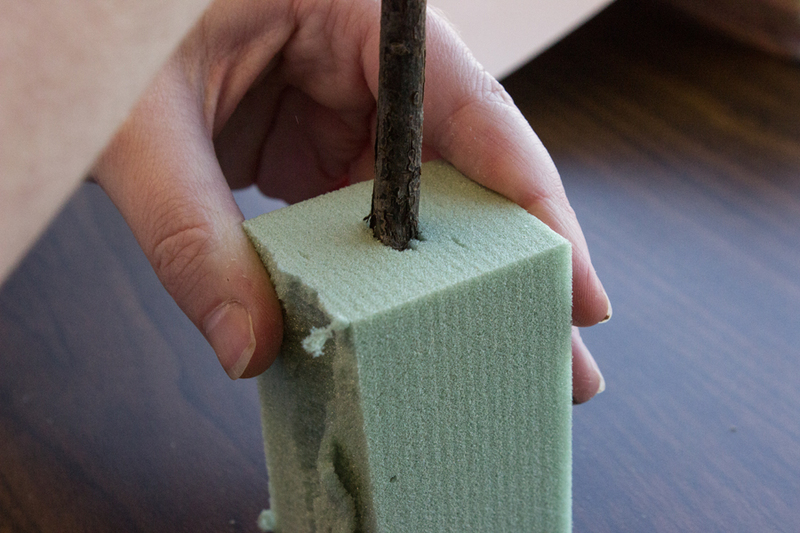 Wrap the glued end of the leaf around a branch of the tree, press the glued end to the back of the leaf, and hold for a few seconds until the glue begins to stick. 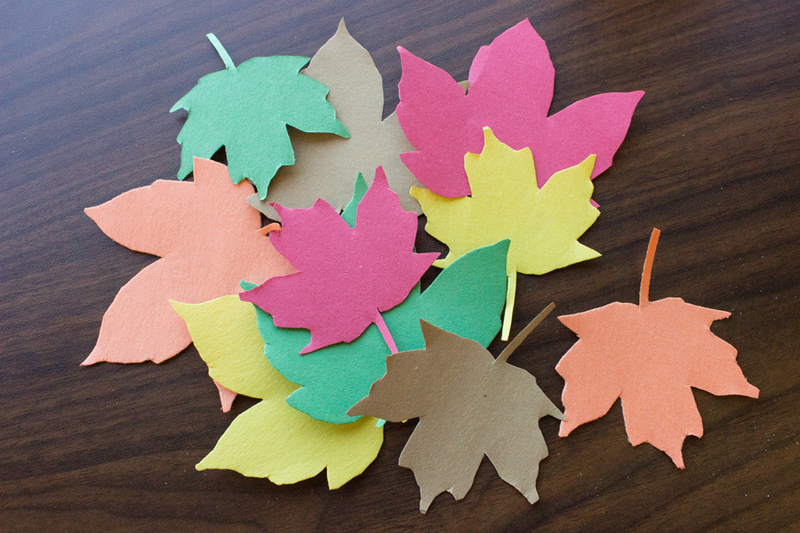 Repeat this process for all the remaining leaves. 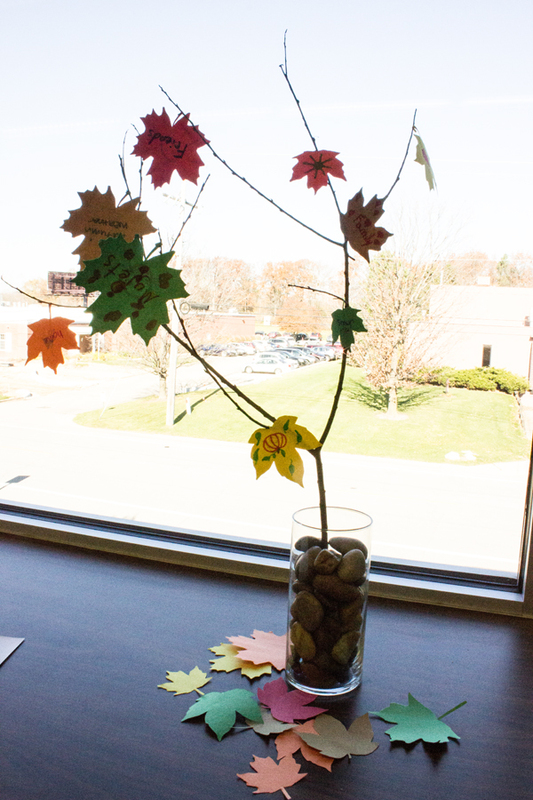 Step 6: Place your Tree of Thanks wherever you would like to display it (may I suggest the center of your Thanksgiving table? 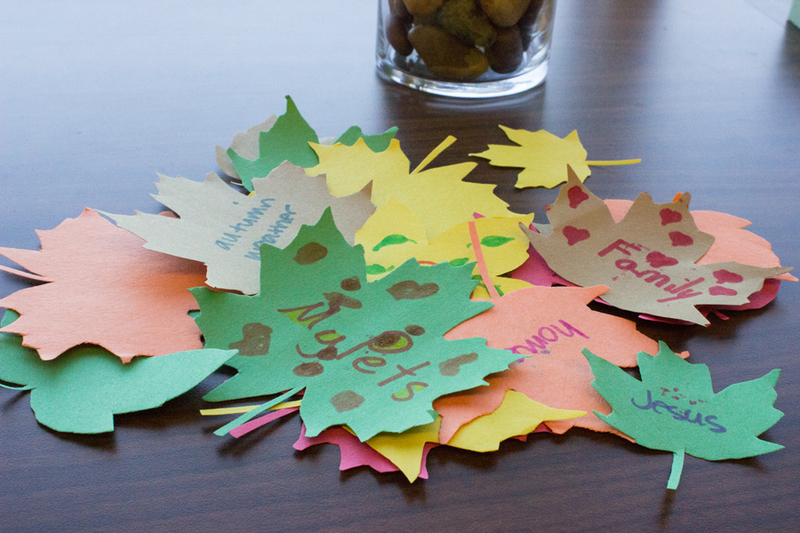 ), and let it serve as a reminder of all the things you are thankful for in life. 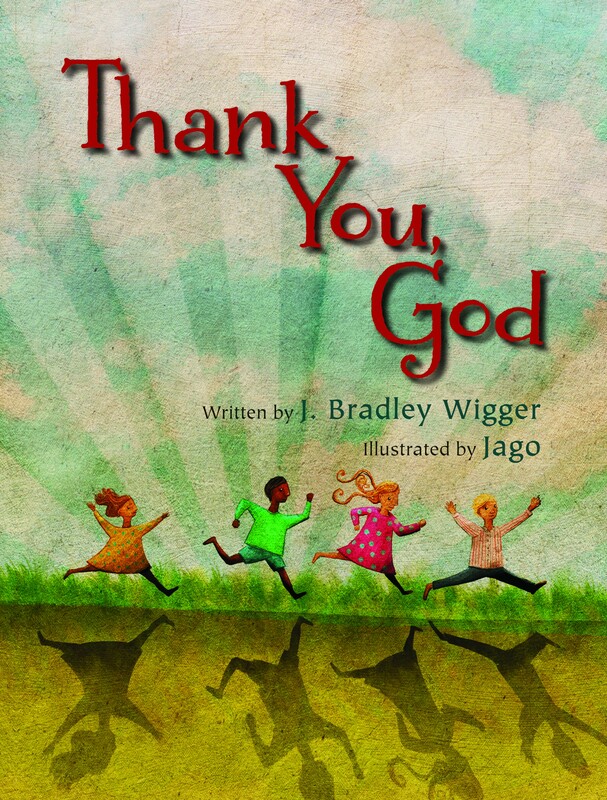 Thank you, God is a wonderful book. Thank you for the wonderful craft. It’s beautiful.